The Hazard Gnome’s shameless Rocket Boots shocked everyone. They had never seen a monster that was so good at escaping before. Its human-like expressions and actions were completely different from NPCs. The Hazard Gnome was like a person pretending to be an NPC. Two streaks of crimson flame flared, slowly lifting the Hazard Gnome into the air. Unwillingness filled everyone’s hearts. However, they could no longer stop it, but only watch the Hazard Gnome flee with their own eyes. The mages in the party were over 40 yards away from the Hazard Gnome. Lonely Snow as well was over 30 yards apart from it. It was not within the range of Charge. Also, the Faint effect of Charge would become ineffective because the target was floating in midair. Only the Movement Speed increase would take effect. Currently, only Shi Feng was close to the Hazard Gnome. He was only 15 yards away from it. However, Shi Feng did not have any range attacks. Even if he chased after it, the Hazard Gnome would raise over 20 yards from the ground by the time he arrived. In the end, Shi Feng would only watch the Hazard Gnome escape. Shi Feng knew he could not catch up. He waved the Abyssal Blade, shrouded in black mist, in his hand. Within an instant, nine streaks of black mist shot towards the Hazard Gnome. Shi Feng was not willing to allow such a smart Hazard Gnome leave. Initially, Shi Feng only thought of the Hazard Gnome as an average Special Elite. He had never imagined the Gnome to be so much like a player. Throughout his ten years of playing G.o.d’s Domain, Shi Feng rarely saw such intelligent Gnomes. The Main G.o.d System wouldn’t simply bestow a small monster with high intelligence. Such bestowals usually had a deeper meaning behind them. For example, those human Heroes or legendary beings were all great characters. Their existences caused people to shudder. Although the intelligence of this Hazard Gnome did not reach the level of those Heroes or legendary beings, he was still much smarter than a Boss monster. There might even be unimaginable gains by killing it. Currently, the Hazard Gnome’s displayed information changed. He suddenly became Arcus Maddox. Shi Feng felt a sense of familiarity when he saw this name. It seems that he had heard of it before, yet he could not recall anything about it. However, the Gnome only had 600 HP. Shi Feng was confident he could kill the Gnome with the Nine Dragons Slash. Just when the nine sword shadows were about to pierce Arcus Maddox, the Gnome took out a few steel b.a.l.l.s from his small bag. He threw the b.a.l.l.s at the phantoms of the Abyssal Blade. Brilliant sparks flared up the moment the two attacks came into contact. A series of explosions forced the phantoms of the Abyssal Blade back. Just when the phantoms were prepared to attack Arcus Maddox once more, he immediately flew over 30 yards away. Meanwhile, the nine phantoms of the Abyssal Blade could only attack targets within 30 yards of its reach. Shi Feng could only watch helplessly as Arcus Maddox escaped. “c.r.a.p. How could there be such a monster? His escaping ability is just a Bug!” Blackie stared at the fleeing Arcus Maddox as he cursed. Cola was grinding his teeth in hatred as well, sending a few punches towards a nearby tree. The other party members felt displeasure also. Everyone fought long and hard against this Elite monster. However, just when they were about to reap the rewards of their efforts, their prize grew wings and flew away. Was there anything more depressing? “Brother Feng, let's continue chasing it.” Blackie discovered that the Gnome’s Movement Speed was not fast. Also, there should be a limited amount of fuel powering that pair of boots. Who knows; the Gnome might land just after awhile. “Forget it. Let’s continue grinding Gnomes.” Shi Feng shook his head. If they could chase the Gnome, Shi Feng would have long since chased after it. However, the Gnome’s Rocket Boots were just too powerful. It was t.i.tled as one of G.o.d’s Domain’s G.o.dly escape tools. Currently, the boots had just been activated. Its speed would abruptly increase in a moment, and the Gnome would disappear in the blink of an eye. It would be an impossible task if they wished to find the Gnome. As expected, the flames gushing out from the Rocket Boots greatly increased after a moment. Xiu! Arcus Maddox disappeared from the air, unable to be seen anymore. “Best not let us meet again. You can dream of escaping the next time.” Blackie said in an unfortunate tone as he looked towards the spot where Arcus Maddox had disappeared. In his heart, Shi Feng felt that it was a pity to let the Gnome go. However, it would no longer be dangerous when they grinded on Wandering Gnomes from now on. After this experience, the Hazard Gnome most likely would not show himself ever again. “Let’s go, continue grinding on the Wandering Gnomes.” Shi Feng turned around and said to his party. “Brother Feng, you’re still the best! How could I not think of it? If we killed all of this b.a.s.t.a.r.d’s kinsmen, we’ll see if he doesn’t show up again.” Blackie laughingly said. Shi Feng was speechless. He turned around and left, no longer paying any attention to the fantasizing Blackie. Suddenly, Shi Feng stopped his feet in shock. “d.a.m.n, our luck really is too poor! I never thought that Arcus Maddox would actually appear here, and he was also a Level 5 Hazard Gnome!” Shi Feng tightly clenched his fists, his brows wrinkled. It was the first time he became so enraged. When everyone looked at Shi Feng’s wrathful expression, they could faintly feel the surroundings become chilly. They could not help but retreat a step; their foreheads covered in a cold sweat. Before, they felt Shi Feng was a calm and easygoing person. Never would they have imagined Shi Feng would become so terrifying after becoming angry. The forest around them no longer seemed lively but more like a frozen h.e.l.l, silent, cold, and dark. “Brother Feng…… are you alright?” Blackie carefully asked. He was shocked. Shi Feng was completely different from when he was mad or arguing with others. It was the first time Blackie saw Shi Feng enraged to such a degree. “Oh, it’s nothing.” Shi Feng reacted, replying with a smile. He stored back the dense killing intent into his heart. Such killing intent was slowly honed throughout the years Shi Feng had played G.o.d’s Domain. Compared to the Tyrant Bear Cola of ten years in the future, there was nothing special about Shi Feng’s killing intent. However, at present, it was considered unbearable for Blackie and the others. 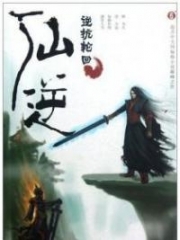 Shi Feng finally recalled the name of Arcus Maddox. Arcus Maddox was a famous Grandmaster Engineer within G.o.d’s Domain. Three years after Arcus Maddox shocked the nation by creating the sky fortress, ‘Twin Snake Ring,’ he had gone on to establish the Gnome Empire. With it, the new update ‘Emergence of the New World’ also activated. At that time, countless Super-Guilds started expeditions towards the fortress, ‘Twin Snake Ring.’ However, all of them were annihilated, and Arcus Maddox was the cause of such a result. On the other hand, Shi Feng was completely unaware of a great character had appeared right before his eyes. He also lost the chance to kill Arcus Maddox, so how could Shi Feng not be enraged? “Party leader, there’s a box here. Did it drop from Arcus Maddox during the explosions?” Gluttonous Mouse, who had been silent all this while, asked as he picked up a small metallic box from the gra.s.s. When the group saw Shi Feng in a happy mood, they knew the item must be very precious, as common items were nothing in Shi Feng’s eyes. As to wanting the item for themselves, none of them ever had such thoughts. They had long since made Shi Feng their idol, and being able to aid their idol naturally made them happy. “Let’s do it this way. You guys stay here to grind and level up. I still have something that needs to be done. Notify me when you have all reached Level 4.” Shi Feng kept the metallic box and hastily made the arrangements. n.o.body could help him with the following matter. Only Shi Feng was able to proceed. Everyone felt reluctant when they heard Shi Feng’s command. However, hearing Shi Feng have plans for them after they reached Level 4, their antic.i.p.ation grew as they abided Shi Feng’s arrangements. Subsequently, Shi Feng left the deeper regions of the Dark Moon Valley. The party had Blackie’s AOE skill. Killing seven or eight Gnomes at a time was no problem at all, and their leveling speed was at least two or three times faster than the other parties. On the other hand, what Shi Feng needed to do was to utilize this metallic box, and to forward the first step of his plans in G.o.d’s Domain. 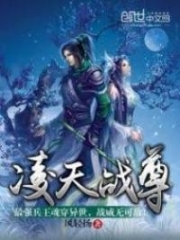 You're Read Reincarnation Of The Strongest Sword God Chapter 38 - Twin Snake Ring online at NovelOnlineFull.com. You can use the follow function to bookmark your favorite novel ( Only for registered users ). If you find any errors ( can't read,broken links, can't load photos, etc.. ), Please let us know so we can fix it as soon as possible. And when you start a conversation or debate about a certain topic with other people, please do not offend them just because you don't like their opinions. You're reading Reincarnation Of The Strongest Sword God. This manga has been translated by Updating. Author(s): Lucky Cat. Already has 8024 views. Current Time is 25-Apr-2019 04:55:50 AM.